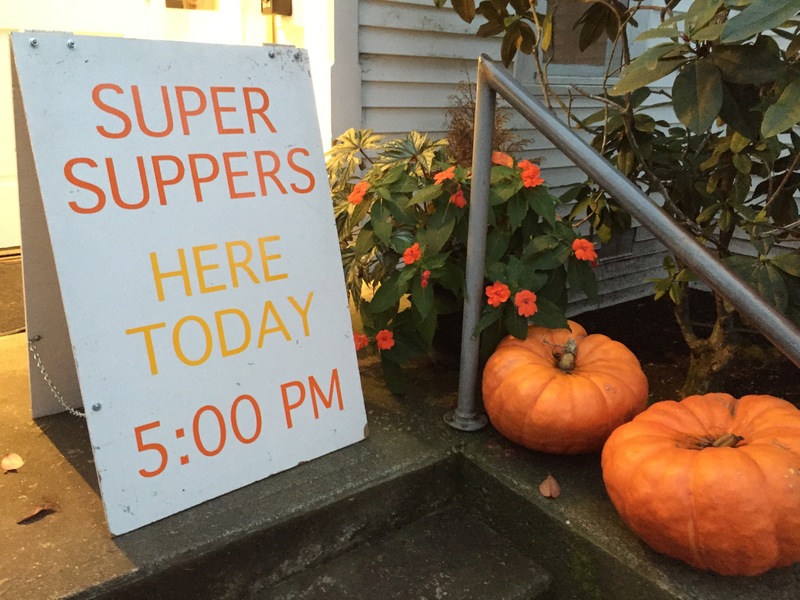 The Bainbridge Island/North Kitsap Interfaith Council has sponsored community meals at area faith communities for over 20 years. These meals are served at churches in Winslow (so they are easily accessible), but they are an act of hospitality by a variety of religious congregations and traditions. Volunteers prepare the meals at community kitchens and offer the meals at no charge. All are welcome. Dinners are offered the last seven days of the month. Meals on Sunday, Monday, Tuesday, Thursday, and Friday are hosted by Eagle Harbor Congregational Church at 105 Winslow Way W.
Meals on Wednesday are hosted by St. Cecilia’s Catholic Parish’s Conger Hall at 1310 Madison Ave. N.
Meals on Saturday are hosted at the Church of Jesus Christ of Latter-day Saints at 8677 Madison Ave NE. Participating communities include: Seabold United Methodist, Chavurat Shir Hayam, Port Madison Lutheran, Cedars Unitarian Universalist, Congregation Kol Shalom, St. Cecilia’s Parish, The Church of Jesus Christ of Latter-day Saints, Rolling Bay Presbyterian, St. Barnabas Episcopal, Grace Episcopal, and Eagle Harbor Congregational (UCC). If you would like more information–or would like to volunteer (either as an individual or faith community), please email info@binkinterfaith.org.